Is corporate practice’s ‘cookie cutter’ model better for pet patients? Say what you will about corporate medicine (and trust me I do), I believe there’s something to be said for some of the methods corporate practices employ. In this case, I’m talking primarily about the much-maligned, checklist-based practice assistance system, aka the “cookie cutter” approach to managing medical methodology. But first, a disclaimer: I’ve never worked at a Banfield-style hospital, and likely never will. Though I have worked in corporate settings, these couple of years were a long time ago and not the happiest in my career. I’m therefore disinclined to make broad negative statements based on personal experience. I can, however, assess corporate practice from the standpoint of both interested industry insider and a private practitioner. If your practice is anything like mine, your most influential font of information on the corporate practice business model comes from your clients themselves. These are usually the unhappy customers who have actively defected in search of a better home. They’re disgruntled about prices, to be sure, but they’re typically more offended by what they describe as over-treatment, inflexibility, limited choices and impersonal service. It also doesn’t help that we tend to hear negative things from disgruntled colleagues who feel frustrated by the rigidity of corporate culture and an unbendingly prescriptive methodology, which leads many of my private practice colleagues to dismiss corporate practice for its “cookie cutter” approach to medicine. “One size does not fit all!” we exclaim. Here’s where the inflexibility and impersonality come in. Which is what I detest. After all, electing the same vaccination protocol for every pet regardless of risk (for example) is not better medicine. In fact, it’s absolutely asinine and borderline insane. Who would risk the health of a patient for a few extra bucks on the vaccine and the price of a responsible conversation? This is only one example, of course. Beyond basic mandatory wellness protocols that many of us would challenge on both medical and ethical grounds, I’ve also seen many forms of over-testing and over-treatment. I mean, I was taught that you don’t test if it’s not going to change your treatment plan. Such a notion runs counter to the do-no-harm mandate we all subscribe to (don’t we?). Yet I’ve seen estimates that run down diagnoses that would yield impossible treatment plans and provide very little value beyond potential prognoses obtained at indefensibly high costs. You May Also Like Is onboarding the key to team retention? All of the above explains why our private practice-informed worldview of corporate practice’s unyielding ways will always be more informed by what doesn’t work than by what does. But enough of the bashing, because here’s the thing: Corporate medicine isn’t all bad. For example, I’d do backflips for a practice management system that actually did what I needed it to do, like Banfield’s storied system purports to. (I’m not sure how or even if it works but if it does, I’m a big fan.) In particular, I’d kill for one that employed practice management software-based checklists in a meaningful way. Yes, checklists. As in, “cookie cutter” diagrams, decision trees, automated estimates and honest-to-goodness lists you check off with a click of the mouse, indelible pen, Expo marker or whichever floats your boat. Because as a basis for helping streamline care, capture revenue and reduce medical errors, I can’t imagine anything more effective. Yet we tend to dismiss this tool as altogether too mundane and demeaning given our level of skill and schooling. Checklists, we say, are beneath us. They’re for technicians and tools, auto mechanics and electricians, not for those of us engaged in highly complex calculations that require inspiration and improvisation, among other brilliant feats of life-saving and death-defying derring-do. We are fallible. Let’s start with that. After I botched a surgery last month, I got to thinking about our collective mistake-making. If after 20 years of performing this surgery with no significant complications, I could still make a simple (and potentially devastating) mistake, one that might’ve been mitigated had I crossed off one last item on a simple checklist. Medicine is technical. Like it or not, lots of what we do is not creative or inspiration derived. In fact, it’s increasingly highly technical. Much in the same way pilots and engineers rely on checklists in advance of a flight or flow charts when designing a car engine, doctors need protocols to guide our decision making. So much so that one famous surgeon-writer wrote an impassioned defense of the checklist in medicine. In his book, The Checklist Manifesto: How to Get Things Right, Dr. Atul Gawande explains that, “the volume and complexity of what we know has exceeded our individual ability to deliver its benefits correctly, safely, or reliably.” There are simply too many things to get right and too much at stake to get any of them wrong. Sure, checklists are tedious. They’re lifelessly fussy and uninspiringly un-fun. What’s more, they’re tiresome to amass and annoying to implement. What’s more, I won’t promise that your staff won’t rebel at the first sign of one. But here’s a trick I’ve learned as I’ve slowly implemented some in my practice: Start easy. 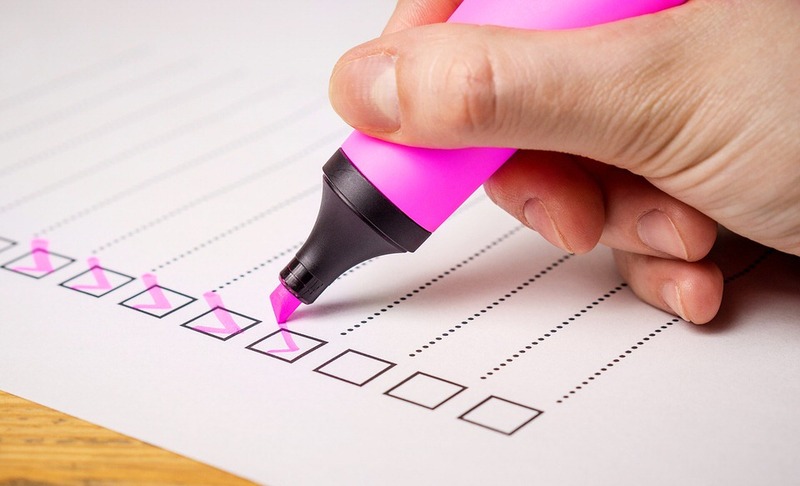 Deliver the first checklists in places your staff won’t be offended. For example: Things to discuss with new puppy and kitten owners, steps in your anesthetic protocol and items to cross off when treating a feline urinary obstruction patient. Easy, right? Before you know it you’ll have a whole book of simple checklists and protocols you can laminate for easy checking off. Think about it: Not only will you miss fewer steps you already know you’ll want to take, but you’ll miss fewer invoice items. It’s better medicine and better business. What’s not to love? So here’s where I come back to the question: Is it fair to equate checklists and protocols with cookie cutters and medical uniformity? Of course not. Not unless you have a problem with standards. In fact, if there’s one thing we could all stand to take away as a lesson from corporate medicine’s colorless culture and unrelenting uniformity, it would be the notion that standards, checklists and protocols are fundamental to how we should all practice. I mean, no one wants sloppy-looking cookies right?